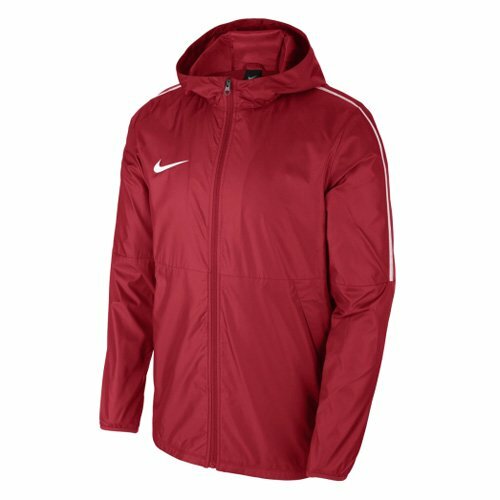 Water-resistant Nike Dry fabric keeps you dry and comfortable. The pre-formed three-piece hood provides extra protection. A full-length zipper at the front for easy on and off. Inserted sleeves provide a classic football fit. Embroidered Straps On The Shoulders Create The Typical Nike Football Look.